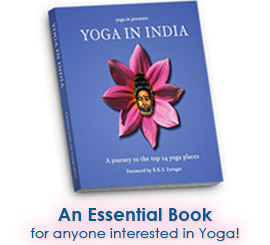 The term yoga comes from the world's most ancient language, Sanskrit. Its root, yuj, means to "join," to "yoke together," to "unify" or "unite as one." The English word 'union' could also be seen to derive from this same source. The UPANISHADS (ancient Vedic texts) say, "That which was One became the Many." It is in the sense of separation or dwaitam (duality), where the root of all man’s suffering resides--a concept that will gain more clarity as we move further into our yoga studies. Discontent with this sense of separateness, along with its resulting pain and suffering, led the ancient Rishis, or spiritual scientists, to delve deeply into the nature of the universe to discover its essential truths. Their discoveries enabled the embodied soul to once again enjoy the blissful union (or re-union) with that highest Self. 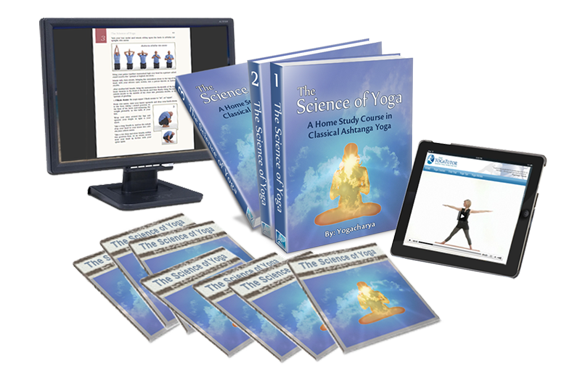 All of their experiences and experiments, over thousands of years collectively, form what is referred to as 'yoga'--a carefully marked path for others to follow. The UPANISHADS exclaim: "Lo! Ye who suffer know! A way has been found! A way out of all this darkness!" That way is yoga! The science of yoga accelerates the return of the many to the One, the re-union of the jiva (the individual Soul) and paramatman (the Supreme, Universal Cosmic Consciousness, or God). The sages call this re-union, moksha, samadhi, kaivalya, jivana mukta. This is the true goal of yoga.